Dear readers, we're sending off another exciting and creative year, and are greeting a new one, that will hopefully be even more interesting, productive and inspiring. As usual, we make a retrospective of the things that happened in the past year, we remember to good and bad moments, wishing to experience the positive ones few more times and to avoid the negative ones in the following year. We make a wishing list for Santa Clause and make resolutions that should make our lives better and easier. Welcoming a new year fills us with an excitement - we celebrate it with the loved ones, exchange gifts, nice wishes and tenderness filled with optimism for the tomorrow. At the end of 2013 I wish to share some of the best moments that brought me joy. The year that's going away has been a turning point to me, as it is a year when I started working actively on achieving my goals. 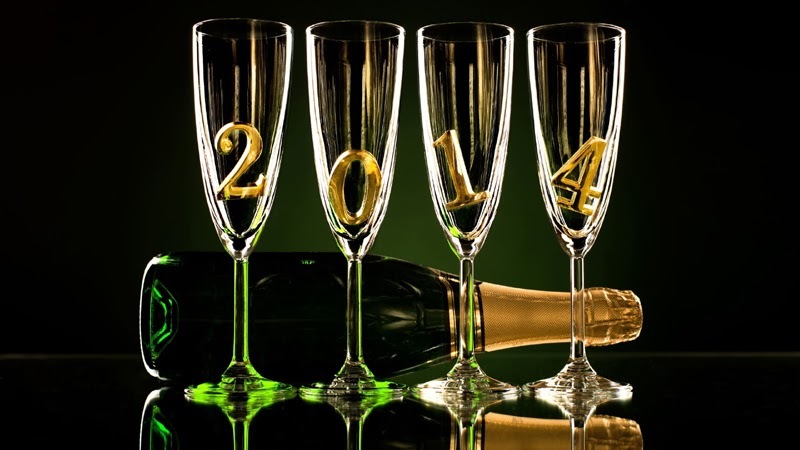 I hope that 2014 and the years to come will bring more success to Štepalica Patterns and completely fulfill my dreams. So, in February I completed the TR Masterclass, which was an amazing experience to me. I learned a lot, met some great, creative and talented people across the world, and I got inspired in a completely new way. The course thought me some new exciting techniques, improved my sewing skills and gave me some great ideas for new projects. I entered the finals at the end of the course, but had to drop out due to lack of time. 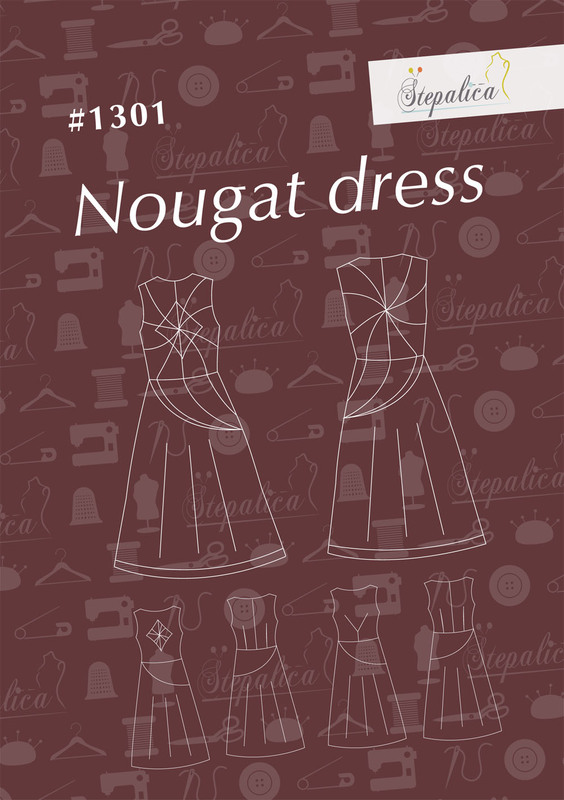 The highlight of the year was launching a new line of sewing patterns, called Štepalica Patterns, with the first pattern being for the Nougat dress in three variations. Obviously, the TR Masterclass influenced the choice of the first pattern. For the first time I have experienced what it really means drafting a multisized pattern, how to make it in a digital format, how to write good and detailed sewing instructions, and I've learned the greatest of all the mysteries - how to draw nice sewing illustrations. I've learned a lot, and I met some great people who help me with proofreading my texts (Jelena Mitić) and preparing the pattern for print (Muffin Studio), thus making this job quite enjoyable. The 2013 brought some new collaborations with some domestic magazines and foreign companies. My blouses were featured on pages of local magazine Vešte ruke (Skillful hands) back in April, and in October I appeared in a web magazine Anita Mei. Both collaborations were one-time experiences, but I learned a lot from them. The dress I made for a friend using Vlisco fabric became a hit on the internet, it became viral like no other garment I had ever made, a reached its peak when Vlisco itself contacted us! I can't describe the excitement we felt at the moment. This brought to another collaboration, but I'll talk more about this in the year that's coming. Even though 2013 was all about sewing, I haven't made many garments this year. I haven't posted about some of the items yet, but they'll have their chance. I've been working on a new pattern recently, and will publish it at the beginning of the following year. All in all, I'll remember the 2013 as the year when I moved myself. I've been wanting to start my own line of sewing patterns for a long time, and it took me awhile to make the first step. It's interesting that some unexpected people moved me to make the first step, and I guess they're probably unaware of it :-). I have to learn a lot, and I have some great plans so the 2014 will be dedicated to meeting them. For the first time in years I'm entering a new year with a wishing list, resolutions and goals. I haven't felt this determined to accomplish the plans in a long time. This gives me a great will to work more and better, and feeds me with an optimism that I've missed a lot, so I'm welcoming the beginning of 2014 impatiently. Finally, my dear readers, I wish you lots of laughter, joy and happiness in a new year. May it be cheerful and playful and the year that will make you move and accomplish your dreams! Happy New Year and best wishes for your goals for 2014! A happy and prosperous New Year to you! Your patterns are fabulous and I can't wait to see what's next. Happy New year Stepalica......All the best for the year to come! Happy new year! May 2014 be just as creative and productive!